Here are ten riders to follow this year. They’re not picked as ten of the best who are forecast to top the rankings, more that some could go onto great things and others have different challenges. Is Richie Porte unlucky? It’s a glass half full/empty matter for a millionaire paid to ride a bike but he’s had his fair share of what Fabian Cancellara called “unluck” with crashes, punctures, even wheel changes. He’s been one of the best one week stage racers and had a great season from January to June last year only to crash out of the Tour de France when the podium seemed a reasonable projection but just that. Only now his biggest rival Chris Froome is supposed to ride the Giro and quite possibly facing at significant ban. Will he get lucky this July? Mikel Landa was one of the big transfers. Two years ago he left Astana when it was getting crowded alongside Aru and Nibali, only he moved to Sky which is even more crowded and either because of internal competition or bad luck he could not fulfil the leadership role he craved. Now he’s gone to Movistar where he’s got Alejandro Valverde and Nairo Quintana as the established team leaders. The team promise El Tridente at the Tour de France, three team leaders but back to Landa. He was one second from the podium last July having done the Giro too. What if he had been left off the leash: the “free Landa” hypothesis? It’s interesting but freedoms can come with responsibilities too and how does he shoulder the burden of leadership? And as exciting triple leadership sounds, with teams reduced to eight riders and Movistar having an exodus of lieutenants – in part to fund Landa’s salary – and just getting through the first week of the Tour with its crosswinds, coastal cliff roads and cobbles is a lot to ask. 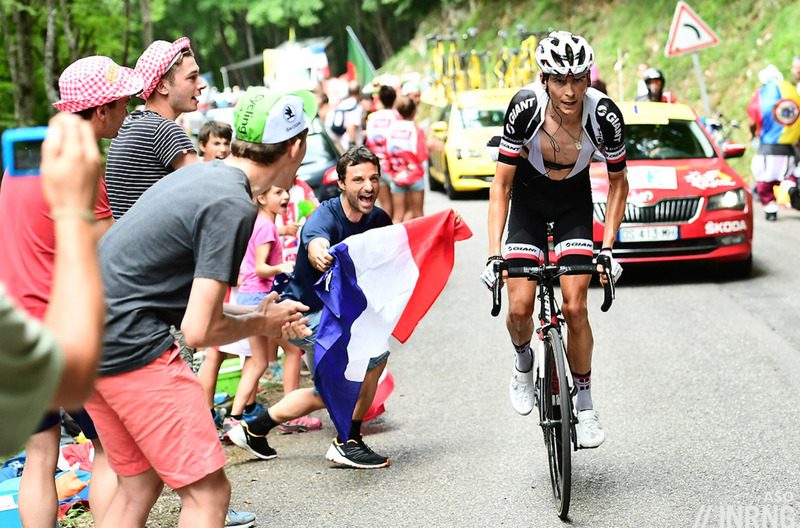 Rather than moving to a crowded team Warren Barguil was another big transfer but he voluntarily took a step down. He was a very promising amateur who kept going when he turned pro, winning two stages of the Vuelta in 2013. Since then he had beaucoup promise but no wins and plenty of setbacks and injuries, including a fractured hip in the Tour de Romandie last May. Then came the Tour de France when he took two stages, the mountains jersey and made a name for himself as the darling of the French audience. So what to do for an encore? Just recovering the form of last July is a big ask but if can win a stage or take the mountains jersey again then 2018 will be a satisfaction for him and his entire team. 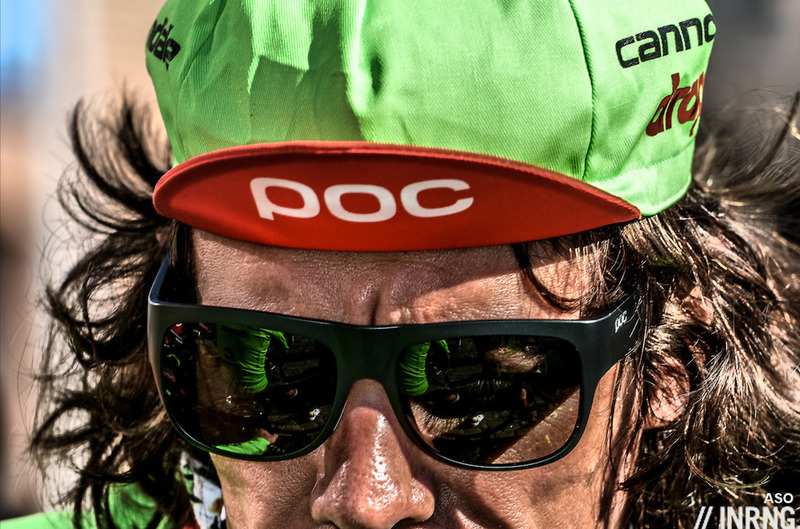 However the background has changed, he’s moved to the small Fortuneo-Samsic team outside the World Tour and he’s very much the leader of the team and he’ll be expected to show along the way. Dylan Teuns is hot prospect. A very good climber in the amateur ranks things went quieter results wise for two years until he was a surprise third in the Flèche Wallonne, that steep finish that so often takes years to master. It was his run in August that impressed as he took three stages in a row and in impressive manner, he was just riding away from his rivals on the short climbs with the kind of searing jump that compatriot Philippe Gilbert displayed in his pomp. So what’s next, does he try to extend this climbing range to other stage races or go all in for the Ardennes classics and then stage-hunting in a grand tour? Egan Bernal won the Tour de l’Avenir last year and has joined Team Sky. So far, so inevitable as the biggest team buys up the best young riders but despite having just turned 21 Bernal is no neo-pro having ridden for Gianni Savio’s Androni team for the last two years, reportedly on a four year contract meaning Savio’s pension plan may have been topped by a release fee. The Colombian stereotype of specialist climbers is increasingly looking like a relic and Bernal contributes to this, he had a strong season last year with results in hilly as well as mountainous races, he’s got a nose for a breakaway and can position himself for an uphill sprint and he’s an ex-mountain biker too. Having a VO2 Max of 88.8 helps but he’s got race craft. Now we’ll see how he fares with Team Sky, if anything the results could be slim given the hierarchy above him. If you want more on him, friends at Ride have just interviewed him. Look closely and Zdeněk Štybar is in the picture. He has come so close but that big win is proving elusive. He was second in Paris-Roubaix for the second time last year. His cyclo-cross background helps but he’s got more than skills as his stage win in the Tour de France and the Strade Bianche show. 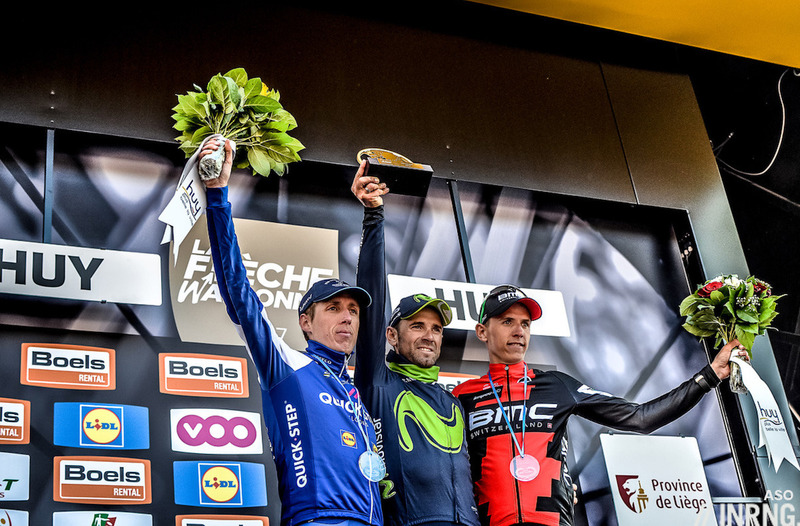 So can he deliver a monument for Quick Step now that they’ve lost Tom Boonen? As ever it’s about seizing opportunities on a team that does quality and quantity alike and his team mates are just as ambitious with the likes Philippe Gilbert and Niki Terpstra licking their lips at the prospect of more monuments. Rigoberto Urán is proof that persistence pays off for several of the riders cited above, keep plugging away and the stars can align. The Colombian had a perfect Tour de France on his way to second place in Paris although he rarely weighed on the race or shaped events but had he tried anything risky a lot could have gone wrong. So what now? Does he bank the Tour de France and return for more of the same again? That ought to be the idea but this time last year the plan was to send him to the classics and then see if he could poach a stage win here or there in the Tour. Nacer Bouhanni is picked both to see if he can deliver results and because his team depends on this. Le bad boy has been his own worst enemy at times thanks to wild moves, whether along the finishing straight or down hotel corridors. Much has been made of Bryan Coquard’s lack of an invitation to the Tour de France and yes, Cofidis do sponsor ASO races which helps but Bouhanni has also won multiple stages of the Vuelta and Giro, Paris-Nice and the Dauphiné and beat some big names along the way. Cofidis need that Tour stage win – Milan-Sanremo is a target too – and they’ve been trying for a decade now. The sacked their team manager over the winter with a promise to shake things up but this all depends on Bouhanni winning big, here’s a team with a €10 million but but not the results to show. Another Quick Step rider to watch is Bob Jungels. Of course the likes of Gaviria, Lampaert and Alaphilippe are exciting but arguably they’re more known concepts, we know what they can do, the question is whether they can achieve it. For Jungels the limits are not yet clear, he’s still just 25 and trying to find a niche that suits: can he become a grand tour contender? When picking highlights for last year his Giro stage to Bergamo just missed out but it showed us his race craft, the big test is tackling the big mountain passes in the front group and he was close but not comfortable in the Giro. Time is on his side but 2018 ought to tell us a lot. Team Sunweb seem to like long term planning almost as much as Soviet officials and pick career objectives for their riders years ahead of the event, something that can’t always be said for rival teams. They’re riding high with Tom Dumoulin and Wilco Kelderman is coming along again and Sam Oomen is one to watch. He’s a third year pro but still 22 and was part of Sunweb’s team time trial squad that won the world championship title as well as hovering around the top-10 overall in several stage races where he can climb very well but as an amateur won the U23 Paris-Tours. So look to see if he can crack the top-10 overall and start to pick up individual wins. Enjoyed this piece as always. I am most intrigued how Barguil’s move will end up. Especially as most mainstream news covers World Tour teams and (invited to) training camps. Barguil is under the radar which maybe is to his liking? What will his build up to the tour be? Will he have/need superdomestiques? Will he eventually score GC or keep his appetite for opportunistic wins? I was going to complain about lack of mention of Coquard but then reviewed the piece finding his name in the same breath as Bouhanni. Luke Durbridge. Will he get on a podium somewhere in Vlaanderen. After several 4/5/6 places ? Trentin. Went from Quickstep to Mitch. Scott. After 4 Vuelta stage wins and Paris Tours. Fuglsang. Reliable Gregario for years. Winner of Dauphine. This year riding for his own chances. Trentin was another I was thinking of covering, he apparently signed with Greenedge quite early last year. He got a lot of wins at Quick Step but took his opportunities, will he have as many this year? Degenkolb too, there’s a good interview for German speakers at http://www.cyclingmagazine.de/2018/01/13/john-degenkolb-ich-bin-fest-davon-ueberzeugt-dass-dieser-winter-etwas-veraendern-wird/2/ which covers a lot of ground and he’s sounding confident. I will be watching Zakarin he can improve in many areas and is young, can his team protect him in the higher altitude climbs? 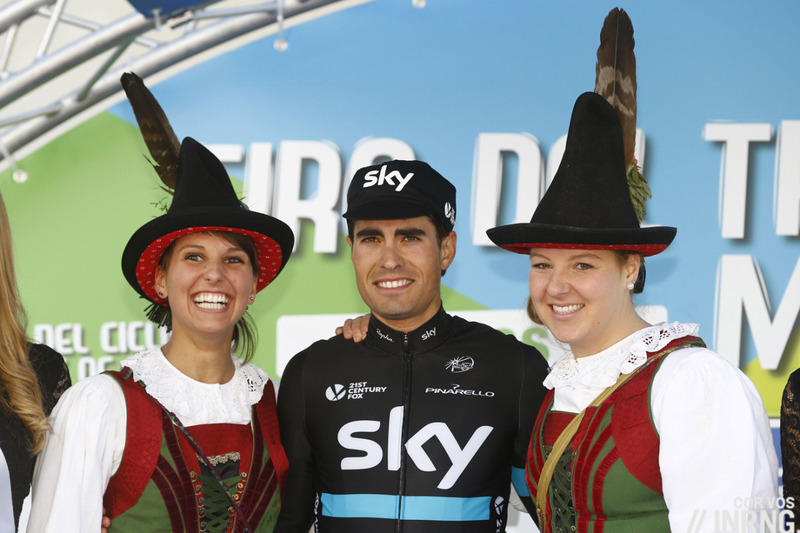 Landa, will have a bit of spotlight on him if he truly does get to race as a protected GC contender. Zakarin’s an interesting case, as much as Katusha are trying to become an international team, a lot of their sponsorship is Russian and so the team depends a lot on “Zaka” as the only current Russian rider capable of contending in the big races. George Bennett, had a successful operation to rectify a ‘stitch’ issue and rode well at Nationals, unable to take the 5 up sprint, break through win in 2017, here’s hoping for more! Finally The Inrng is giving the Colombians a bit of exposure. Sorry but you are notorious for excluding them on your posts. I’ve been a consistent Inrng rider for a couple years + at least in that time there has always been plenty of coverage of not just Quintana + but Chaves, Uran, Migeul Angel Lopez, Pantano, Atapuma, Winner Anacona, etc. Can’t speak to before that but I’d pretty surprised if there was a consistent exclusion of Colombians at any point. It’s not a specialty Colombian site like Alps + Andes, but they get as much or more coverage here as at any other English language cycling site. I have to disagree with you here, Scarabeo. Having read inrng almost since the start of the blog I must say that Colombian cycling and riders have been well included, and readers have also been encouraged to visist Alpes & Andes for deeper coverage. Alps & Andes is also included in the exclusive Shift Gears list in the right column. Finally The Inrng is giving the ignorami a bit of exposure. Sorry but you are notorious for excluding them on your posts. I’m Colombian and I don’t think so. Inner’s coverage of cyclists does not correspond to a national profile. In this blog, Colombian cyclists have the recognition they deserve. Thomas of Ghent will surprise them all. Let’s hope; he was great fun to watch last year. Admittedly partly inspired by just watching Elia Viviani’s laser missile-like finish at TDU, but I’m going for the two QS sprinters; Viviani and Gaviria. Firstly because they’re both excellent and join a top notch team and lead out trains, so I think they’ll do very well this year. It looks a fantastic move for Viviani in particular. But secondly, and of most interest, how they may do at the Spring Classics. Will Viviani play a role, and how much of the growing expectation can Gaviria deliver on? If QS were able to find that true finisher in the Spring races, after Boonen’s retirement, well….I think it could enhance Stybar’s chances actually, it would be a huge tactical advantage to have at QS’ disposal. I’ve been thinking Viviani-QS would be a perfect match for a couple of years now so i’m pretty excited to see how that pairing pans out, seems like at least they’re off on good start. I wonder if Viviani, Stybar and Alaphilippe (if all selected) can all crest the top of the Poggio together…Would love to see that play out. Yeah, specially if Gilbert is 50 metres up the road! Rest of QS sit in and wait, and scoop up a sprint win if he gets caught or he doesn’t and gets his 4th monument.. then roll on Roubaix. Seeing whether Bernal can reach his full potential–or even headed in the right direction–this year will be of key interest. 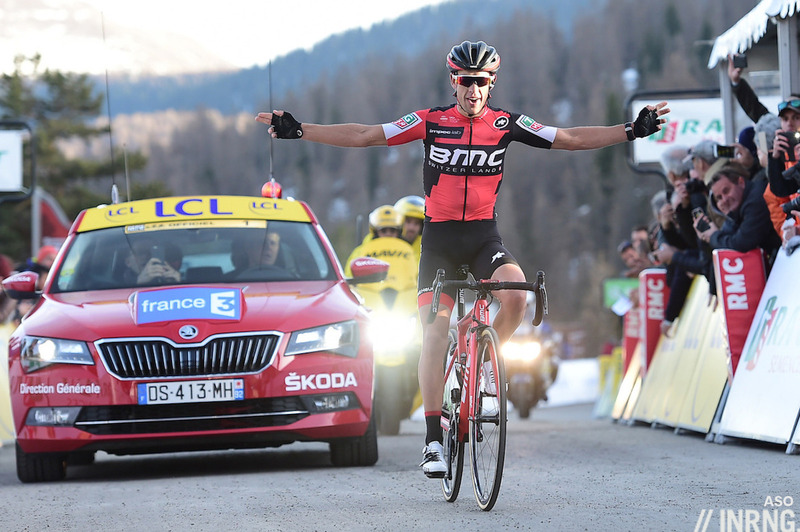 Also, Dumoulin vs. Porte for the Tour win–another potential highlight of the season. Sagan’s looking strong already Down Under–wouldn’t bet against him in the spring, especially with Oss looking after him. Even if Froome gets the broom, this season’s looking good so far! Isn’t Dumoulin doing the Giro? If so, I can’t see him winning the Tour after that. Sagan will be a bit of a mystery prior to San Remo… he’s skipping the first Belgian weekend and going to transition direct from altitude training to racing in Tirreno a week later. Apparently he’s often got sick in the opening classics weekend and it’s then hampered the performance/training in build up to the monuments. Also he’s down to ride Amstel (so extending that racing block a week having started it a week later).. altho this might depend on performance @ Roubaix the week before. I’d really like to see Sagan extend a further week and do LBL – nothing to lose. agree, the way LBL has been ridden for the past 5 years i dont really see anyone dropping Sagan on the last 2 hills. Roglic is a good one. Has definite GC potential on right course. I would have also said that Roglic is a rider to watch. His improvements have been steady over the last couple of years and he is now a rider who is a very good time trialist and a capable climber. All that is left to find out is if he can hold it all together for 3 weeks, or is he a stage winner. Teuns is definitely one to watch too. Gilbert started winning small stage races and minor classics and then exploded into the classics proper, it’ll be interesting to see if Teuns does the same. Porte I would consider a rider to ignore. We all know the drill now. Start the season like a house on fire, shine in early season 1 week races, look promising at the Dauphine, wilt in the Tour. He’s no doubt a talented athlete but there is more to it than the physical side and I don’t think he handles pressure well, or handles a bike downhill very well. I’d like to see what Roglic can do in the 1-week races. Are there any with significant TTs? The Tour always seems the most TT-friendly parcours, although I’d be lying if I said I’d studied it in anymore detail than INRNG’s previews. With Roglic it’ll be more about whether he can hold it together for weeks on end, and if they build a team to support him, as the power-to-weight is there looking at his Tour win and Worlds TT. Buchmann’s an intriguing one. He’s progressing really nicely and has plenty of time but it’ll be interesting to see how he fits into GT selection with Bora juggling Sagan, Majka, the improving Bennett in spring and maybe even Kennaugh. And a Konig with no knee problems. Good call. Had forgotten about him, claims that the knee has been feeling good and is flying in training in Mallorca. A good list, especially Landa, Bernal and Teuns, the latter of which was phenomenal for a month last year. Looks like he’s going to get some more chances this coming year too. But, to my mind the biggest talents in cycling over the next few years will be Gaviria and Lopez. We all know what Gaviria can do, the question is is he another Sagan in the making who can also excel at PR and RVV. Lopez’s two stage wins at the Vuelta, after a season ravaged by injury were my wow moments of the year, especially stage 15 where he did most of the work in the jump and then went like a rocket. I expect to see huge things from him. Was thinking of him and Majka too, both had a breakthrough in the 2014 Tour de France but have things to prove. Gianni Moscon for me, and not just for the much discussed potential character flaws. Which path will he take and what will Sky do with him? 6th in WC ITT and Italian ITT champion. Moscon can easily win a monument one day. And he will only get better. Movistar might well be better off sending Landa to the Giro, telling him he can do the Tour next year, and giving Quintana one last crack at the Tour. I can see that they want to have a greater chance of winning the Tour, but it could be very messy – and then you add in Valverde. Plus, if they did it the way I suggest, they could win both – or at least have a good chance of scooping one grand tour. Valverde could focus on the Vuelta and not do the Tour – although he’s probably most focused on the Worlds. Also, I don’t think Valverde has another grand tour win in him: people got excited by his early season form last year, but that counts for little – plus Valverde is clever enough to realise that he can’t win a grand tour and so peaked early to pick up a lot of good results. I hope Dylan Teuns focuses on the classics: there seem to be too many riders giving up their chances of being a top one-day rider in order to become a top ten grand tour rider. Can’t see Urán winning anything – there’s only so far you can go with a constant defence. I’m looking forward to seeing the leadership trio at Movistar. If they are all fit to race, are all selected and all high in GC at the end of the first week of the TdF then it has the potential to spectacularly implode. Recent years has shown that if you don’t align yourself behind a natural leader, then none of the team will be in yellow. For me, 3 leaders equals 3 giant individual ambitions and that can’t be good…. well at least not for Movistar. Movistar’s problem is not their riders, its their bosses. Their tactics stink, as can be seen by how they often fail to win grand tours they should win, and their approach of “just put all the best riders in the team” is equally stupid. Valverde will always poach his wins and be happy. Quintana needs everything focused on him though and it won’t be with two guys looking over his shoulder and four others expected to do all the work. Landa will do as he’s told but basically look after himself. Not a happy scenario for the Spaniards. I think this is the year of Alaphillipe. In the past 2 sesons he was looking like Sangan and VanAvermat of old, collecting a lot of 2nd places, never quite the finished product. He had never tested himself in a grand tour either, don’t konw if he has the endurance, if he can make another step he will be brutally strong. Thank you inrng, it’s a pleasure reading your posts, i should say thank you more often! I like Alaphillipe, really aggressive rider, but you never know. Sometimes a rider like him is tipped to fill the gap left by the likes of Valverde/Gilbert before they are unexpectedly leapfrogged by an even younger rider such as Theuns. Not saying that will happen but it’ll be interesting to see how it works out. Also interested in Dylan Groenewegen. Only 24, got the big win on the Champs last year. Can he become more consistent and does he have any Classics potential. Landa – the most interesting “case” to watch in 2018. Movistar needs to invent some supertactics where all three lions can live next to each other. But is Landa really so good to win a Grand Tour? I bet he is not, but let’s see. After he left SKY, I may become his fan, as I love reale, pure non-TUE climbers. 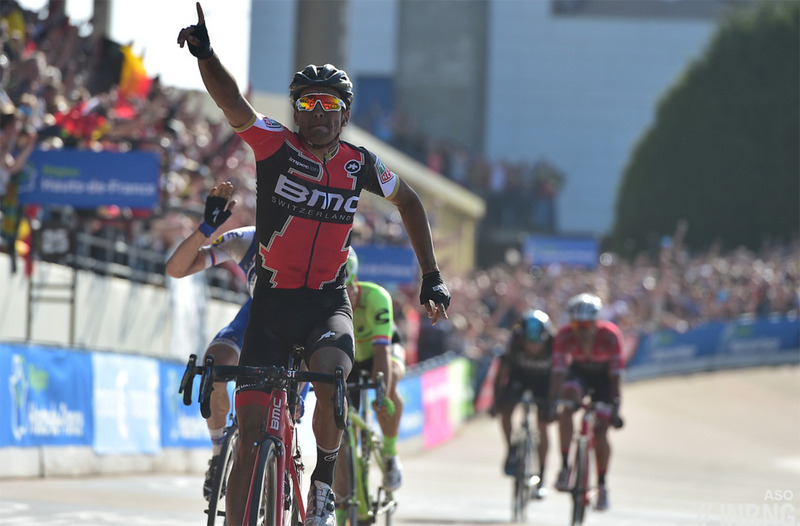 Bernal – great physiology and adding SKY TUE School he should be new Quintana very soon. And with asthma that he is going to get from Brailsford, he will be even bigger than Nairo. Teuns – very intresting rider, keep my fingers crossed for his development. Porte – my biggest hope for anti-Froome, anti-asthma, but he’s already failed too many times to be taken seriously as top3 contender in TDF. One needs to understand that TDF top3 is not only about power, is also about avoiding crashes, splits (and of course about TUEs). You’re not obsessing on something then? Landa was a Sky rider sbs. You can’t pick and chose which riders you dislike based on your fevered imagination. He was Sky so thats him out forever! Rider to watch in 2018: Froome. Is he going to destroy the reputation -not of himself- but the whole road racing? Will road racing lose all credibility that was left after Armstrong scandal? ps. For now even 2000 kgs of salbutamol is not enough for ones like Gianni Bugno to finally admit : yes, SKY is TUE-salbutamol-TEAM with cortisteroids for Wiggins and Froome, jiffybags and steroids “for Brailsford knee”. Some still prefer NOT TO SEE the truth, because truth in this particular case can destroy the whole cycling this time. Sponsors will be gone once Froome is DSQ. Sponsors will be gone. I don’t think so though Sky may well lose interest gradually. For the rest, they might not be pleased – though some riders will be happy to have a rival less – but they are surely realistic enough to not be surprised and looking through the Worldtour list I can’t see any probable leavers. For the riders to watch, two Aussies, Edmondson and Haig. Even as someone who, on the basis of probability, suspects that Froome has deliberately cheated (and who has equally negative opinions of Wiggins and of Sky generally), I still don’t find it interesting to discuss the same thing all of the time. It’s best saved for when that topic is actually being discussed – otherwise there is a risk that every post turns into a (very similar) discussion on Froome, etc. Really … is this competitive sports we are talking about ? In which other sport do they use just beetroot juice, pasta and a good sleep. Sorry Inrng about my last post, The notorious word was too much. My apologies for airing my emotions under the influence of a vibrant Sav blanc. On a more positive note I loved the picture of Urán. No worries, thanks for the polite return. Rohan Dennis anyone? Roglic definitely. Moscon maybe (if he can steer clear of trouble & therefore suspension). Thanks for the nice article, good choice of stories. John Degenkolb and the spring – is he going to come to his 2015 form again ever? Lance Armstrong – Will he win the We ride Flanders Sportif? I bet he will not. I hope he will be there, and if he is I’m sure he will be riding for fun so you’re right. But in the light of the recent statements from Lappartient about Armstrong and riders from his timeline I am seriously hoping he turns up. I can’t think of anything more hypocritical to say right now. And in the meantime T. Voeckler has just taken over Hinaults role as bouncer on the podium, Jalabert is welcomed with open arms at the tour and the list goes on. Are we seriously to believe that Armstrong himself created the situation with PED’s? I for one think the guy has been punished enough. I think he has adapted some self-insight and a bit of humility since his confession. He seems genuinely changed about a few things, and other things he will still not apologize for which is fine. It’s all going off topic but a quick reminder: the difference is Lance Armstrong has a lifetime ban, others don’t. If you are head of the UCI you can make moral statements on who should be at some races but you have to uphold your/WADA’s rules on bans and attending events. Sorry for going on with the OT, but… who’s the scapegoat? Weren’t you speaking about Lance? “Scapegoat”? And did he really “chose to come forward”? Come on, your point might be valid in general terms or for several other riders, but surely not for Lance. What he did was very different from what we know about every other cyclist so far. He assumed a power role on cycling’s chess board, both within its team and towards other institutions, all the way up to the political and corporative level. That’s interesting as a form of empowerment but then we also know what he did with that – and it’s just fair that he now must face responsibilities which are very different from other cyclists’ case. For Porte I think it will be his last year to prove if he can be a GC contender … Whatever the case may be for Froome … which I don’t care … Froome knew how to protect himself. No accidents, No falls … good tactician. That is essential for a GC leader. If for the third time he has a fall, wheel change or whatever mishap then in my book he lacks the necessary mindset to win a GC in a Grand Tour. The same applies to Thomas, they just don’t seem to have that special ability to make their own luck in the grand tours. For me this could be Geraint T’s year – he always looks promising then stuff goes pear-shaped for him. He’s always waiting in the wings… and waiting. He still had a season some might trade body organs for last year including the yellow jersey etc but still looks like there’s more to come. 1) Can Fuglsang finaly reignite the GT promisses after his dominant 2017 Daupine and live up to a decade long list of unfullfilled promises playing 2nd fiddle to the Schlecks, Nibali and Auru. 2) Add young Søren Kragh Andersen to Sunwebs list of long term focals, no one yet knows if he will be a rider for the northern nlassics, Ardennes, 1-week stage races or GT GC’s. He can climb, sprint and performs well in the moniments long races at young age+ he has a huge engine for TT’s. Me thinks he is a UCI worlds champion and multiple Monuments conquer in the makings. There seems to be a widely held belief that Fuglsang can be a GT contender and I don’t really see why this is – he’s a solid rider and could perhaps get a top 5 at the Tour, but I don’t see much else. He’s 32, his only major win was the Dauphine (and that seemed largely down to other riders watching each other) and he has only one top ten in a GT. Yes, he’s often been riding as a domestique, hence those relatively lowly results, but I can’t help but suspect that if there was more to come from him then he would have been a team leader (maybe by leaving Astana). Others have ridden as domestiques, but shown themselves to be GT contenders whilst doing so – e.g. Nibali, Lemond, Froome, Quintana, Landa, etc. Davide FORMOLO. Watch. Disappointed He left Cannonade. It’s been touched on before but for me the rider to watch this year is Thomas. This could be his last year at Sky for two reasons: Sky pull the plug in the wake of the Froome stuff or Thomas decides he needs away if Froome is cleared and he goes on to win the Giro/Tour double. Will he be happy to base his season on having a a tilt at the Tour of Spain? It seems a long way away right now and are those super steep ramps suited to him? He’s down to ride Roubaix and Liege. One of his strengths is the classics – one of those who can ride all the way through from Het Volk to Liege. It is therefore immensely frustrating that at the moment he’s down to ride only two of the races and even then it appears as a support. Rowe is injured and Stannard will only ever contend in Roubaix and he’s never a top favourite. Why Sky don’t make him their leader for these races is beyond me. He’s always said how much he loves Flanders: just ride the race instead of skipping it for a training camp halfway up a volcano. He can do well in GTs but does seem to have rotten luck. Maybe he will end up leading Sky at the TdF but it will take a Froome ban for this to happen – which doesn’t seem the surest way of setting out and achieving your goals for a new season. Right now, though, his 2018 season seems to be consisting of supporting Froome in the TdF, skipping the Giro and riding Roubaix (a race he can win) and Liege (a race he might win) as support. I’m sure he’ll be thinking about the Tour of Spain and maybe even the world championships but the bloke’s obvious talent is in danger of going to waste through God knows what. Mismanagement? Not committing to what his strengths are? It’s all very frustrating. He’s 32 this year and has never looked like a grand tour contender, albeit he’s almost always ridden as a domestique. If he wanted to lead, though, he could have left Sky. Has his luck been much worse than others? He certainly seems crash-prone. Like many, I think he’d have been better focusing on one-day races – although he’s never come close to winning a Monument. In fact, not focusing on one discipline has perhaps cost him the most – he was still racing track in 2012 – and probably most explains his scant road palmares. He’s still – even at this age – a bit of an unknown, and perhaps a jack of all trades and master of none. Valid points, all. Especially the one about him leaving for a leadership role at another team. I thought he looked a real contender at last year’s Giro and was the only one to come close to Dumoulin in the long TT – and that was after his crash. He does have a lot of those. Agree – you make your own luck but Thomas does seem especially crash-prone. I base this only on what I see but the guy could win one of the big one days. He hasn’t, I accept that. But he’s one of those who could. And certainly seems a better bet than Stannard/Rowe for the cobbled races. He’s had long enough to know what he’s good at. Perhaps he’s got too much ability – in the sense he could turn his hand to pretty much anything. I’m not suggesting hes Merckx-like but he clearly is a very good bike rider per se. Jack of all trades, master of none I get but Sky seem to have been indecisive in their handling of him. One moment, he’s a classics rider, then he’s someone who might do well at the GTs. This year, their programme for him seems more muddled than ever. Missing Flanders this year for a training camp seems beyond sense. The lack of specialisation is the best argument I think. I recall him winning E3 and being 3rd in Gent-Wevelgem a few days later a couple of years back. He’s also finished 7th in Paris-Roubaix. At the time he decided being Plan B in grand tours was a better option he was frequently being named as a Flanders Classics contender. I, like many, think he chose the wrong path. And he might now never have the chance to see what could have been. Why leave Sky to win a GT? If Froome is riding, that’s two of the GT’s gone and most have to work for him during those GT’s. Since Sky exists, they’ve won 6 out of 24 available GTs. 12 podium spots out of 72. Huge figures, surely the best around, but not beyond any reasonable comparison: Astana got nearly as many wins (5), albeit with less podium spots – “only” 9; Movistar clearly had fewer wins (2) but… as many total podia as Sky! On the contrary, Tinkoff had a good number of victories (4) while totaling 6 podia (Contador’s allergy to podiuming left this speciality to other colleagues). Even a very small team like Liquigas achieved 2 victories and a total of 5 podia during the mere 3 years (2010-2012) in which they were active out of the 8 seasons of Team Sky’s existence we’re considering now (2010-2017). I’d frankly say that there’s plenty of space out there to prove your skills as a GT winner or at least contender. Sky have been impressive in the most important race, no doubt, but they were also able to disappoint quite much everywhere else (speaking of GTs): even when they were podiuming at the Vuelta you got the impression that they were losing rather than the other way around; and not just because you’d expect more from them – it was more about failing to deliver as a team. Besides, as J Evans points out, they rarely gave many options to their domestiques: Froome might be looked at as an exception, yet many (personally, I wouldn’t be totally convinced) would say that even in his case you can observe how GT options are reduced in Sky for whomever isn’t the very top dog in their eyes. That might be different in other races, but, again, we’re speaking of GTs. My man to watch is Chris Froome. He will win the Giro and the Tour… and then get a two year ban and retire, a 7 time grand tour winner with 3 asterisks. They’re for races you have won, but not been banned for, but look dodgy because of subsequent information. So, all of his wins, really. Still, he won’t be lonely in that group. Disagree J Evans – Lance has 7 asterisks, Contador has 2 + 7 (total of 9 wins/asterisks on all), Jan has 1 asterisk. Lance still won the race on the road, and no matter what the rule makers say, if they can’t pull the athlete from the race prior to the little stuffed lion ceremony, then that rider won the race. It’s ridiculous that people can be diagnosed for cancer with the testing done in a few hours, yet we NEVER find out about a doper until weeks/months after the race. The technology exists to do instant blood analysis every afternoon/evening after the race, so why delay it? Plus, it would increase security around the testing, reduce having to transport/store samples, etc. prior to testing. The A and B sample could be tested instantly. There are so many advantages to instant testing, including being able to say that today’s winner is the winner, rather than the never ending questions that linger for months. Sorry, my response is getting repetitive, but how many times do we need to go down this road?? No, Lance was stripped of his titles precisely as Contador was. Because it was found that he was doping while winning. It’s 7 + 0 vs. 2 + 7. The way they detected their fault was different, and as a consequence timing also was, but it doesn’t change what’s happening. Statute of limitations may have applied in Lance’s case, indeed, as in many others’, wasn’t it for the peculiar nature of what was discovered: bad luck the man dedicated himself to prolonged conspiration. See, it works like this: “we perhaps might need a time to catch you, be it for supposed technical reasons, because of legal procedures or whatever, but if we happen to catch you *on time* (according to the rules), you lose the titles”. It’s not about askerisks, it’s being out of the “albo d’oro” for good. Also note two further details: Contador was stripped of the 2011 Giro title purely out of disciplinary reason, that is, without any relation to any misdoing in *that* race – just as a “punishment” (DSQ time is a punishment). That’s quite different from being caught in a specific race. And even in the case of the 2010 Tour, what I wrote above isn’t totally exact: Contador wasn’t found precisely *doping*, he was found breaking a rule. But we can count the latter as doping, I think, as I did above. Anyway, he officially lost both, even if his situation is, all in all, far from being as serious as Lance’s. Menchov, and others, also lost their races. Ullrich, Basso, Vinokourov, F. Schleck didn’t. There’s normally a reason for that. However, the meaning of asterisks is something like “unwritten rules”. Or opinions (and other sort of things that stink). Everybody’s got his own. The “Official History of Tour de France”, which I don’t know if it’s really official or what, distributes asterisks with a total lack of consistency… and against what the UCI does. But it’s the UCI who sanctions the results. Hence, I’d say you can decide what the asterisks mean for you. I’d say that what you suggest makes little sense, mixing up races where we don’t really know if the athlete was doping (most of Contador’s titles), races in which we positively know that the athlete was doping but it came out when the statute of limitations already protected the rider (Ullrich) and races in which we positively know that the athlete was doping – in everyone of them – but the statute of limitations couldn’t apply and those races are really gone and lost. But, hey, as I say, choose whatever criterion or – lack of criteria – you like best, there’s nothing solid on the subject of asterisks. Just take into account that, as I explained above, Lance was stripped of his titles as Contador, that is, Alberto’s got seven GTs and Lance none, as far as “historical stats” are concerned. I’m with you when you make a difference between winning on the road and on paper. I myself sometimes – more often than not – take into account who won on the road because I use figures to try and understand what was happening. Counterfactual stats might have a meaning under some circunstances but they usually haven’t, also because many races would have gone completely otherwise (the 2011 Giro is still one of the best examples around). I’ll always defend that, especially in cycling’s case, the fans’ memory and the shared narrative heritage matter *way* more than historical stats. Yet, the latter can’t just be ignored or misrepresented: they depend on a set of established rules, which more often than not are quite arbitrary, but that’s precisely the nature of sports. Finally, in my personal and private cycling’s history, few riders are stripped of their titles. But some are, and Lance is the clearest and most deserving case (others, like Floyd, get kicked out for minor reasons). It’s not only about breaking the rules, it’s about taking control of those who should control you – in order to jump over the rules and even use them against your sporting rivals. In such a context, rules don’t make any sense anymore – nor does the sport. Exactly, the asterisks really are a personal thing. Lance has 7, Indurain has 7 too. In fact, you could argue that Indurain cheated more than Lance did. All the top GC men in Lance’s day were loaded to the gills. But, Indurain was racing against those who had zero clue about the new doping methods, eg. Greg LeMond. 1991 should have been Lemond’s year – he was thirty, and had won the previous two years’. He was in peak form, but Indurain was using substances that LeMond had no knowledge of. That is way more unfair than what Lance did. Steroids were banned substances in 1991, but Indurain didn’t care. Sorry, what minor reason did Floyd get kicked out for? He was clearly on the same doping program that Lance was… but he got caught for a minor part of that overall doping program. Don’t kid yourself, Floyd was loaded with an EPO program, but just like Lance, he was beating the system. Asterisks are personal but Lance has no race you can put those asterisks on. Well, the Flèche and the World, that sort of things, I guess. He’s got *no* TdF for you to asterisk: I mean, obviously you can decide that *for you* those Tours matter, then you asterisk them (the whole operation is a bit weird to me, you decide to bring them in, then you bring them partially out… but, ok, in our heads we can play any game). – that sort of operation won’t change the situation in historical terms (as set by rules, which are among the few sure things we get). – I find it a bit lacking in terms of coherence to put on the same level races in which we positively know that the winning rider was doping and races where we can only *suspect*, albeit reasonably, that the winner was doping (also note that, to different extents of suspicion, you could apply the latter to a good deal of the peloton). In your example about Indurain and LeMond you’re assuming a lot of things. Which can be assumed without being considered especially crazy, I’d agree on that, but assumptions are precisely that – assumptions. Not history. Your assumptions, although reasonable, totter here and there. For example, transfusions and EPO had been used before in the peloton and the former had also been used publicly, since they were allowed; it would be hugely surprising if “LeMond had no knowledge” of those options. He *had already beat* riders on a structured team programme who were using those techniques. I think he left PDM precisely because he discovered what was going on there. Yet, note that when racing for La Vie Claire, a couple of seasons before (before the accident), he spent the whole 1986 Ardennes classics side by side with doping recordman Kim Andersen, who had been consistently been on substances during the previous Autumn, preparing the Worlds, as well as in that same Spring. We can even imagine (but I never saw the race) that LeMond, who was finally 5th, had a role in Andersen’s 2nd place at the Flèche. LeMond’s Norwegian teammate Kuum in the successful 1989 TdF bid with ADR had tested positive at the previous Tour, which apparently was no issue for LeMond in order to take him back on board in the Tour team… and the guy went on refusing to undergo a test less than one month after Greg’s victory. Then LeMond changed team again and joined good ol’ Kim Andersen at Z.
I believe LeMond was reasonably clean, but cycling was already… cycling – and he himself was adamant about his own physical woes which limited him never mind what the others were on. He only speaks of an increasing pressure for him to blood dope in 1994, when he finally ended his career. What is this 1991 Indurain banned steroids story? He had a Froome-like problem in 1994, but in his case the inhaler thing was even more realistic; and, anyway, salbutamol had *not* been banned yet by CIO or UCI, the whole thing came out only because French authorities had forbidden it. That’s all I can recall. The big story about Indurain is the Conconi link. Indurain wasn’t even near to the level of power which was enjoyed by Armstrong, he had no such influence over the UCI or ASO (or the French president and down on the poor antidoping French chief). That’s way more effective than any drug per se. Your comparison doesn’t work as you’d like: even Indurain beat other GC men which were fully on heavy doping (like Lance) and even in Lance’s peloton there were riders who were relatively clean (as LeMond). Most people think that doping is about substances, but it’s not. It’s more about how you use those drugs, and then – even more important – organisation, full team doping, political support. The silly paradigm about “cheating” covers up a reality which isn’t black and white, when speaking of effects on performance… it’s incremental. It’s not by pure chance that Indurain finally retired with the same sensations you attribute to LeMond: that is, that some other guys were ready to go further than what he knew or was willing to accept. Re: Landis. I mean, Floyd was just a doper, not a protected and influential figure like Lance. Several steps down, although he was in a structured high-level team doping programme, too. But that still doesn’t make him as *special* as Lance. Yet, I feel that Floyd’s Tour was particularly “false”, the peloton was racing in a very strange way. And most competition had been swept away. For me, it’s not as much about his doping test (which was probably a message about having gone way above the average doping… without being Lance) – it’s about that Tour having been turned into a farce. And… they were not “beating the system”. They were playing the game (and Floyd failed at it as we all know); Lance was *calling the game*, to be more exact. *That* was the system, there was nothing to beat because they were on board (or dreaming about it). And that’s the big difference which makes it all way worse than the EPO years. Finally, I wouldn’t be so convinced that Lance never had any substance that wasn’t available to the rest. I trust what’s being said in the USADA papers, but I’m not sure that nothing at all was left out. Some chapters about CERA history might be still unwritten, for example. But that’s a detail – I mean, the point is that being able to take whatever, whenever, however you want, all in order to optimise the results is *hugely* more effective than just “being on the same substance”. CA, cancer testing is done in a lab, as antidoping tests. The difference is that for the former you go to the hospital where the lab is, while the latter are performed on subjects who travel hundreds or thousands of miles away from the labs. For instance, only one accredited lab in the world could catch Contador and it was pretty much far away (that’s why very few samples were actually sent there during that Tour…). I suppose that those labs are quite busy, and their resources are far from being comparable to those of general health structures. Besides, the challenge posed by working out a given test isn’t proportional to the gravity of the matter. Serious illnesses can be easily detected, CERA was a very complicated matter even when the test started to be used and more or less work, not to speak of GH. However, I think we can agree about the technology not being the main factor, here. Look, Gabriele, we are both aware that it is possible to set up a travelling lab that is accredited to handle the specific blood tests cyclists need. It could be set up in a motor home that follows the race and managed by doctors who travel with the race. Obviously I understand that cancer and dope testing is done in a lab, you don’t need to spell that out. My point is, the technology has existed for a long time to set up mobile testing labs. Secondly, there are already multiple medical personnel at the races, why not force the teams to pitch in for the medical personnel to oversee the testing lab? You’re making valid points, which I understand, but at the same point, it is very clear to me that the technology and cost structure exists to test each day’s races that night and announce the results in the morning. The fact that Froome’s case is still undecided is NUTS, Contador’s decision took 2-3 years, etc. This is just stupid and beyond all logic. It is what makes our sport a joke to much of the sporting world. None of the results are credible or believable because no one knows who is about to be popped for breaking the rules, and we’ll never know until months later. Sorry Inrng for the posts – this “riders to watch for 2018” forum quickly went on a major dive to the depths of cycling fandom hell… please feel free to zap my posts this morning! Gawd, I hope you are wrong. If all the riders making noises about how Froome should take himself out until this mess is adjudicated had any real cojones they’d simply inform the UCI, etc. that they would NOT be lining up in any race where Froome’s on the start line. Problem solved.